If you’re new to Google AdWords also read this article on when is the time right to give Google AdWords a go. 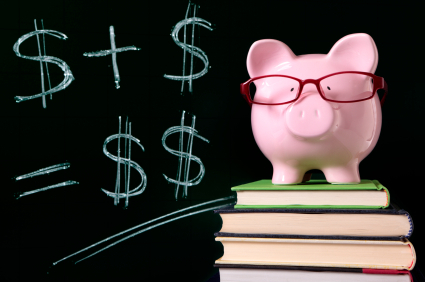 When is the Time Right to Give Google AdWords a Go? Google AdWords is Google’s Search Engine Marketing program. AdWords ads appear at the top of the Google search results page and in the right hand column. You create an ad that only appears when someone who is in the location that you selected searches for your target keywords. It doesn’t cost anything for your ad to appear. You only pay when someone clicks on the ad. Effectively you are paying-per-click to generate targeted traffic to your website. You control the maximum amount of budget that is spent each day. AGIdeas 2013 didn’t let me down and I’ve come away refreshed and excited about new projects and ideas for the future. Lots of clever and talented designers all with their own stories and expertise. Too many highlights to list highlights but have to mention Shane McGowan, illustrator with gorgeous children’s book illustrations, Adam Hayward and his amazing album cover artwork and Ian Anderson from the UK and his reality on being a designer. 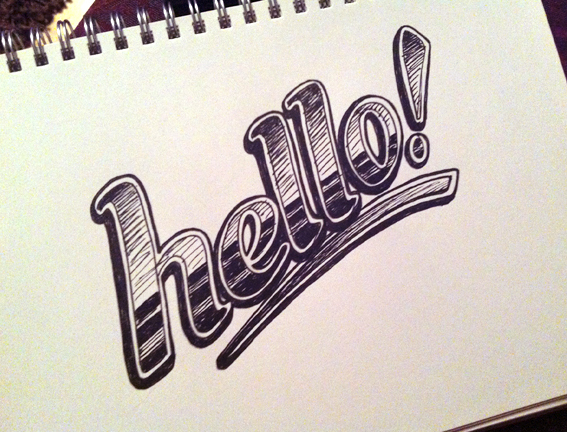 Overall the highlight was Gemma O’Brien on Day 3 and her enthusiasm for type. She lives and breathes it, as you can see at her blog www.fortheloveoftype.com.au. Very inspiring and fantastic to see how she has simply done what she loves, catching the eye of clients/projects and even Woolworths and Harvey Norman even getting excited about type. The result is I’ve come away from the conference feeling like I have no excuse at all for not making more of my own creative projects happen. So to get started I’ve set myself a goal of creating hand drawn type every day for seven days, just rough sketches with a focus of getting into the swing of it again. 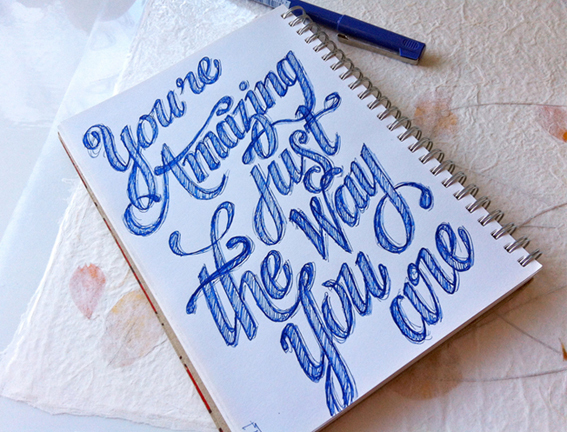 This first effort was drawn on the way home from the conference on the train and features words from a favourite song. More to come! Today we got a windmill. Yes a windmill. It’s not too rusty and actually works. I was thinking about the windmill and the job it does as it gracefully turns and works away in the sun and rain. If you haven’t seen a rusty windmill in a paddock then keep your eyes open, they are becoming a rare sight. 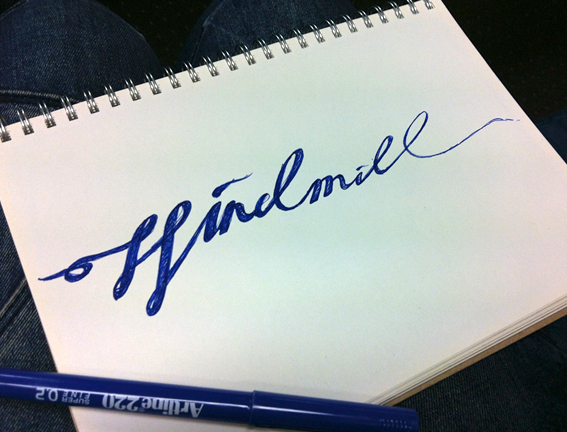 So today I sketched type inspired by the windmill. Tried to make it look like it is being blown in the breeze, not sure it was completely successful… but at least I have a Day 2 type for my challenge! 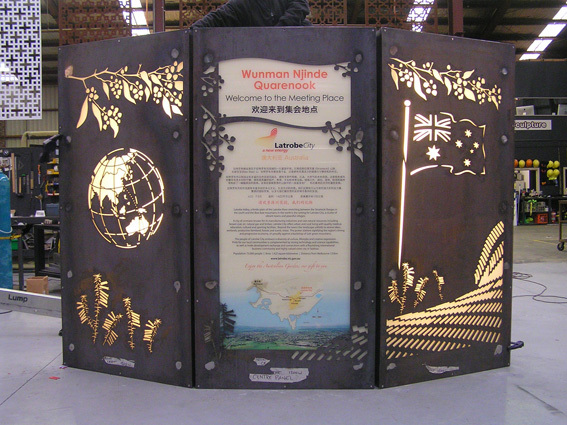 A really enjoyable project I was involved in during 2011 was illustrating the metal panels to be part of a garden design for a Sister City project in China. 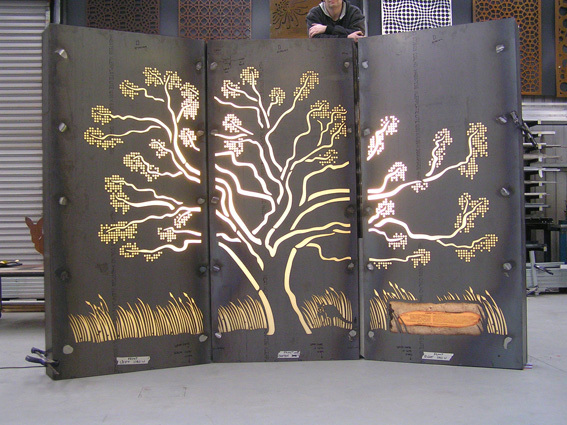 The panels are a central piece to a larger garden design, and will be shipped to China where the garden should be finished during 2012. The whole garden was designed by Melissa Ellis at the Latrobe City Council and draws in many different elements that will make it a real experience. 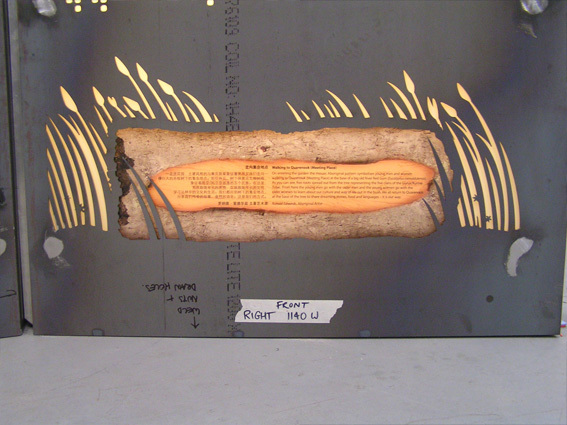 The first time we saw the panels put together. Since these photos the panels have been rusted and will look fantastic in the garden amongst native Australian plants and a detailed mosaic path designed by a local Koorie Artist. 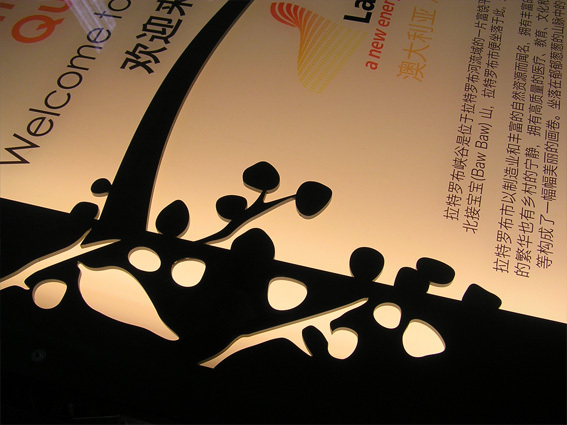 Each side has three panels that are back lit, with printed perspex panels inside.The printing features English and Chinese so the garden and its message can be enjoyed by everyone once setup. 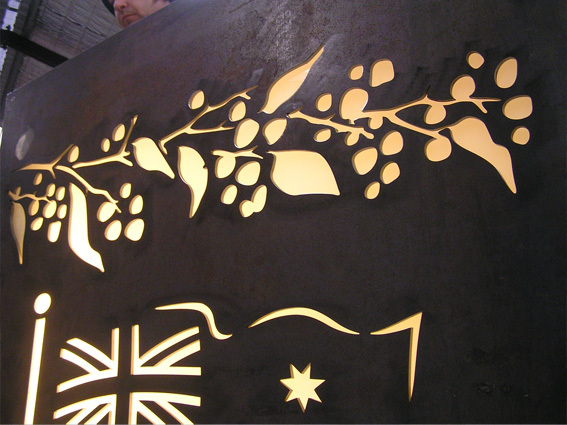 The design was laser cut from 6mm thick steel, it is amazing the detail that can be achieved with the laser. 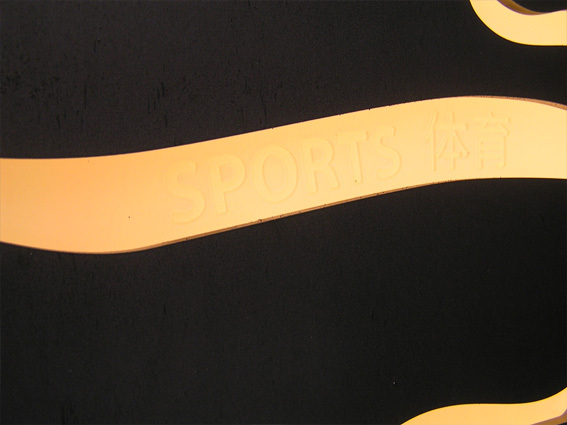 For a subtle effect keywords were etched into the perspex in English and Chinese. These are in the tree branches. 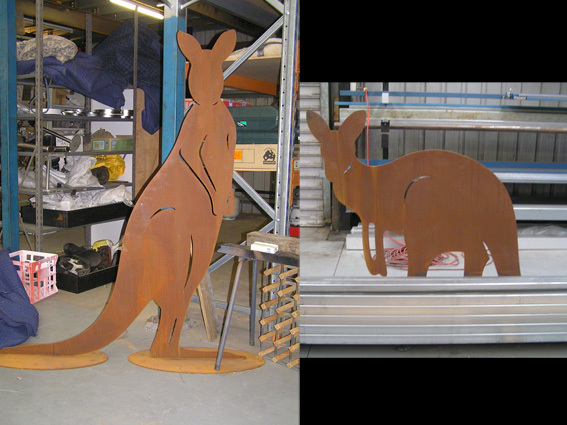 These two kangaroos will greet visitors as they enter the garden. Come back later in the year to see photos of the completed garden with the panels! On a recent break away to the High Country I came across some old rusted out cars in the bush. It was a sad and rusty car graveyard, but their shapes and colours were really interesting and some even had chrome badges still hanging on. 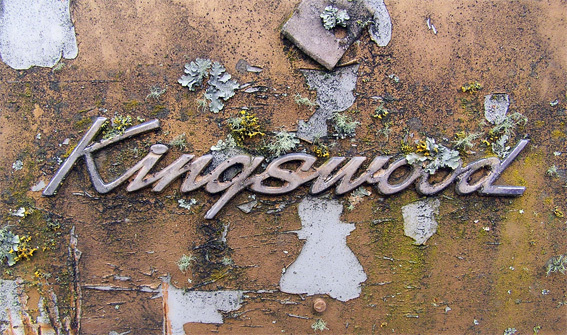 I love shape of this text, and the way the rust and moss is growing around it. 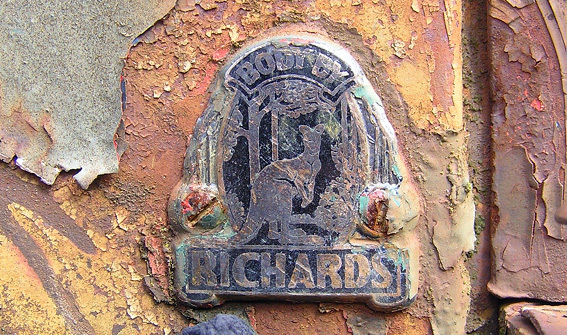 This one is pretty damaged but with the gum trees and kangaroo illustration is a nice little badge from another old car. Crazy that in the middle of the bush, miles away from anywhere, you can still come across type! We started 2012 with a little project that had been on our list for a long time. 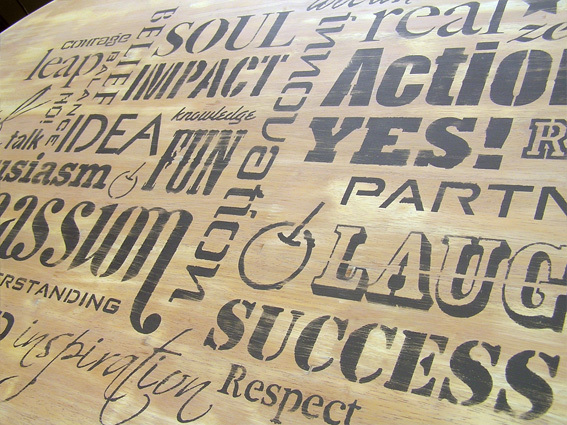 Our meeting table was looking a little uninspired and didn’t really fit with the feel we were after. The solution, of course, was to add type to it. 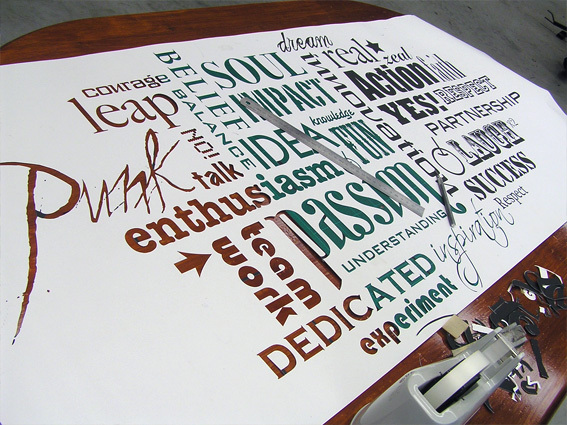 We created a design ourselves, but you could log into http://www.wordle.net to make your own word cloud if you like something quick. Instructions are there and it’s really simple to use. 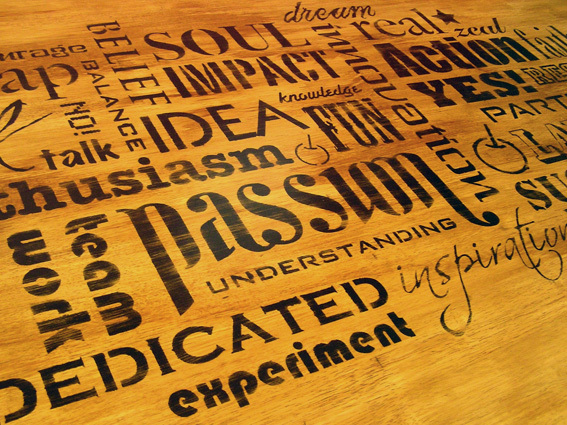 But we have to warn… you can get addicted to wordle! You will need to print your design out at the actual size needed for your table. We used a large format printer. If you don’t have one check your local print shop. 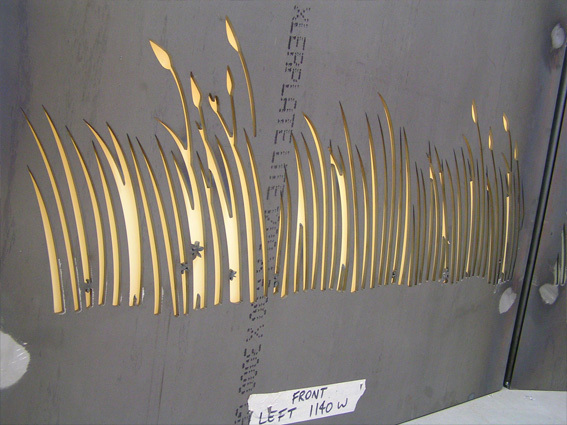 Make sure the stock is not too thin as this will be your stencil and you don’t want it to tear easily or the paint to bleed through it and end up with a soggy mess. This part will take the longest but is worth the effort. 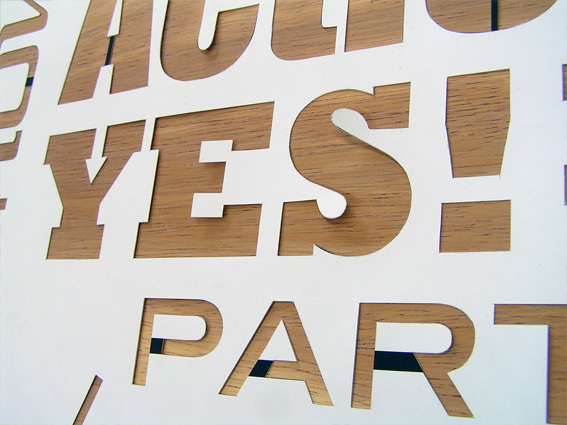 Grab your scalpel and carefully cut out the letters. This needs to be reasonably accurate so you can keep the characteristics of the fonts you have used. Make sure you don’t cut through the letters like o, p, a, b, e and d. If you cut through fully there won’t be an inside of the o and it will just look like a big dot. The black in this photos shows what we haven’t cut out. 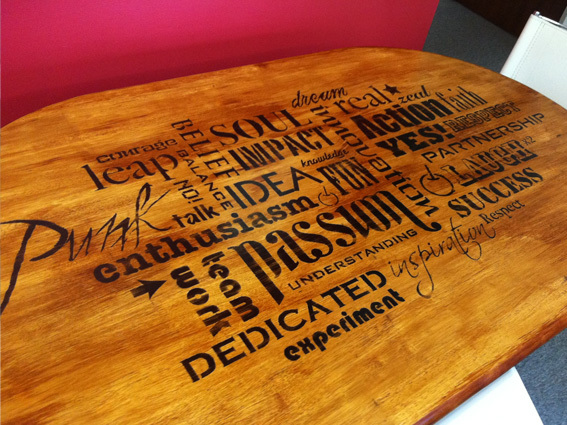 Our table was found in a second hand store and overall in pretty good condition. It was sanded back to remove the yellow varnish and a dark stain added to the frame and legs to make the top more of the feature. This is the fun part! 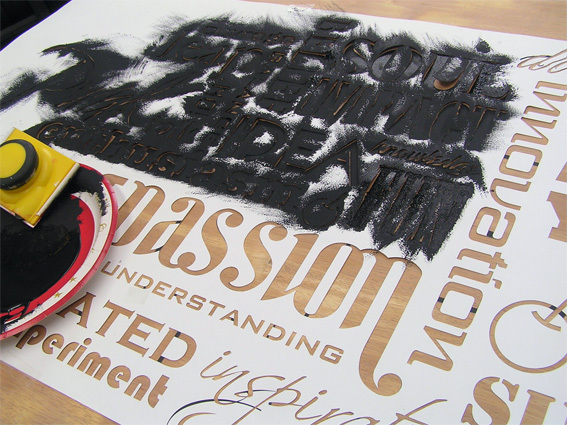 We used matt black acrylic paint and applied with a sponge for a more uneven look. You could use a brush but the sponge didn’t seep under the stencil edges too much and was really quick. Plus left a nice texture. All depends of the effect you want. Once this was dry it was sanded back so it looks a little rough and not too solid black. Don’t be too delicate, you can’t really mess it up. Wipe all the dust off with a soft cloth and it’s ready to finish. To dull the contrast between the light wood colour and black paint a coat of stain was brushed over, then wiped off with a brush filled with turps. We had to work fast before it dried but the turps in the brush gave it a rough and uneven look. To protect the artwork and table from staining we used is a clear satin. You can’t really tell it’s there but it works great, we can put laptops, boxes, etc on and no risk of damaging the design. Follow the instructions for what you use, we had to give it three coats with a fine sand in-between. 7 Share it with us! If you do give this a try email a photo through we would love to see what you come up with.